Hello my crafty friends , Mona back with a fun Easter card using two of my newest stamp sets that I recently purchased at Kat Scrappiness. I started by using my Cutterpillar Pro and white card stock to cut the base of my card 5 1/2″ x 8 1/2″ and then another piece of white card stock 5 1/2″ x 4 1/4″ for my front panel. 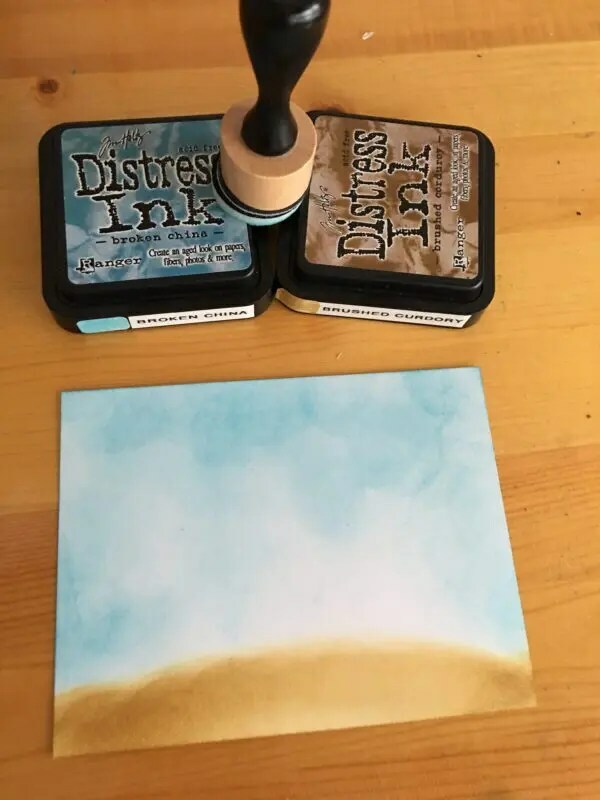 Then went on to inking my front panel background using my Ranger mini blender and Distress Ink by Tim Holtz ( Broken China and Brushed Curdory). My next step was getting all my elements ready. I used my Stampaholic Nano stamping Tool to stamp my cute bunny from Brush Bunny by Gerda Steiner Designs and the truck from Little Pickup by Honey Bee using my Memento Tuxedo Black. My little bunny I fussy cut and the pick up I used the Little pickup die set by Honey Bee using my Vagabond. I just love that Little Pickup set it is so universal you can use for almost any occasion. To color both elements I used my copic markers. Now the fun part…assembling everything together. This is where I noticed that I am missing something in the the sky so decided to add a few clouds using Cloud die set by Jillibean Soup. For the final touch I used Kat Scrappiness Easter Egg Hunt sequins mix and added a bit of Glossy accent to the windows. This was so much fun , I really love how my card turned out. Thank you all for joining us. See you next time.